The EUR/USD currency pair reached the target at 1.2990 last Friday and started to fall down. The first target is at 1.2860. Then the pair is expected to test 1.2840 from below and then continue moving downwards to break 1.2800. 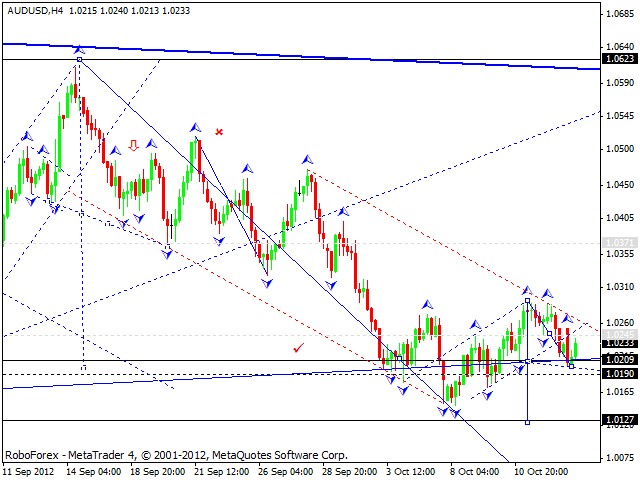 The GBP/USD currency pair completed an ascending wave and right now is moving downwards. 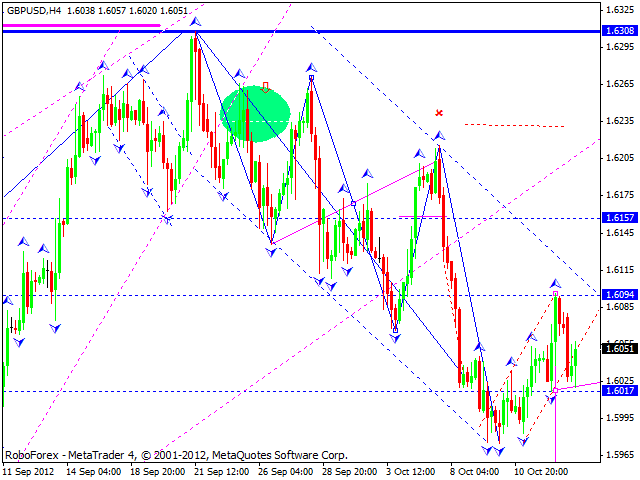 The target of this movement is at 1.5940. Later the price is expected to consolidate for a while, test the level of 1.6020 from below, and then to continue falling down. 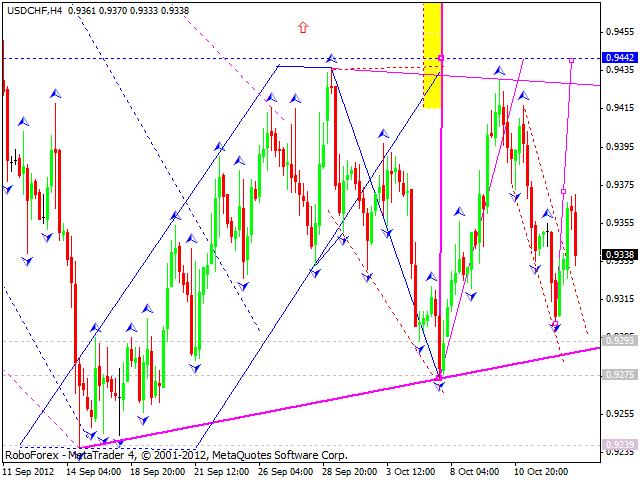 The USD/CHF currency pair reached the target at 0.9300 and right now continues moving upwards. The first target is 0.9380. Later Franc is expected to consolidate for a while, continue growing up, and breach the level of 0.9440. The USD/JPY currency pair reached 78.60 and right now is stating moving downwards. Today the price is expected to continue falling down towards 78.20 and then 77.90. We can see that the pair is moving inside a narrow trading range, which looks like “triangle” a bit. 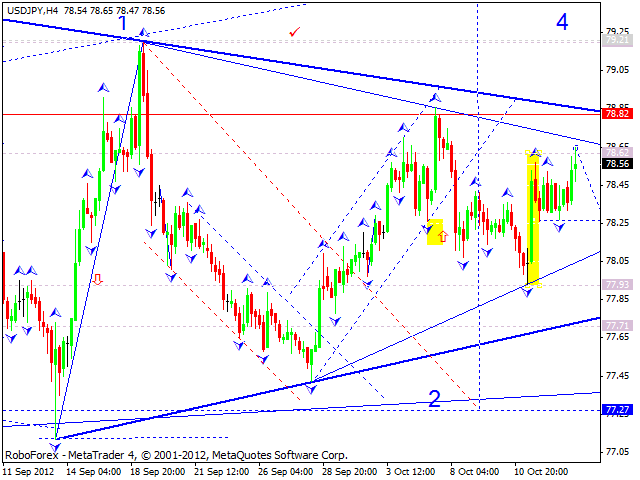 The price may reach the level of 77.70 and break the pattern upwards. 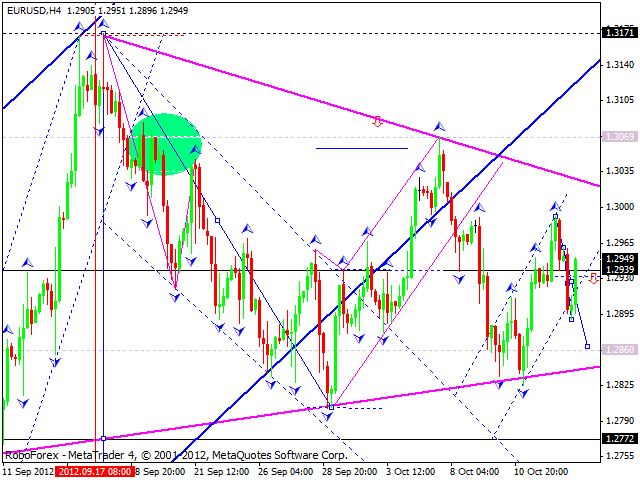 Australian Dollar started moving downwards and broke an ascending channel. Today the pair is expected to continue falling down towards the level of 1.0125, break it, and then test the level of 1.0210 from below. Technically, this pictures looks like a consolidation. 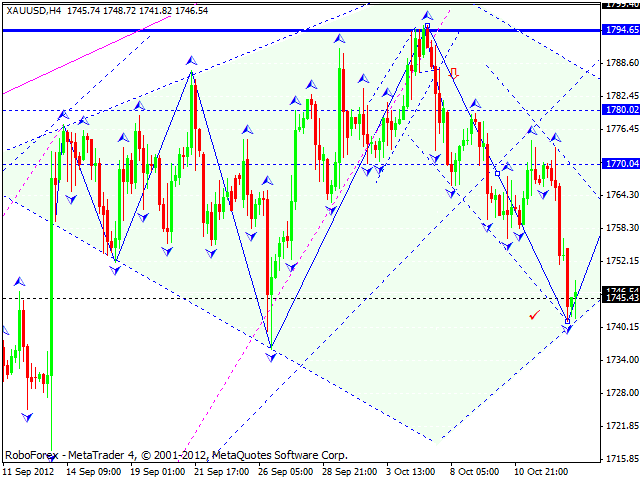 Gold reached the target at 1745. Later we can expect this wave to be corrected towards, at least, the level of 1770, and a technical pattern will be completed. In the future, this pattern may be broken downwards.